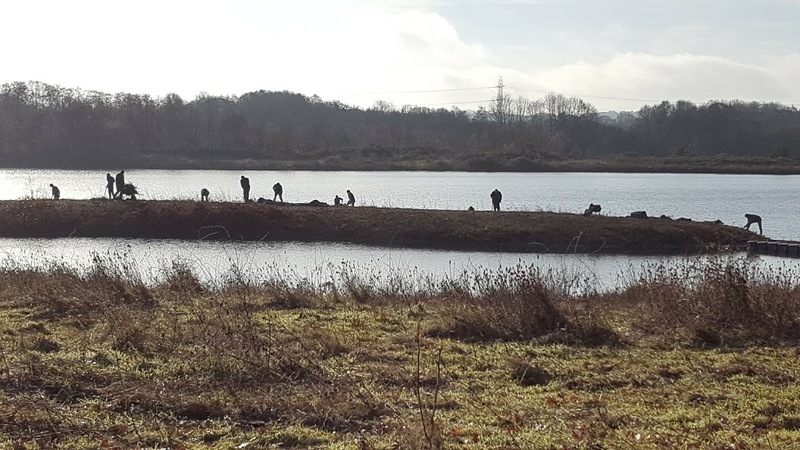 Last Sunday the Moor Green Lakes volunteers had their last work party of 2016 – what a good turnout and result! After herding the Belted Galloways away from the pontoon we set up camp on the island and Jon ran through what we hoped to do – Plover Island is a daunting task that gets revisited each year. The Murfitt and McDonald families were soon getting through the willow at the far end of the island and with the rest of us spread along the shore facing the hide, the shingle started to appear from out of the bramble and weeds. By lunchtime the near end was clear and new volunteer Simon was getting to grips with some of the heavy grass that we don’t usually get to. With Andy doing the heavy lifting and barrowing off the island, by the end of the day Plover Island had never looked so clear. Hopefully we may see some nesting birds in the spring. 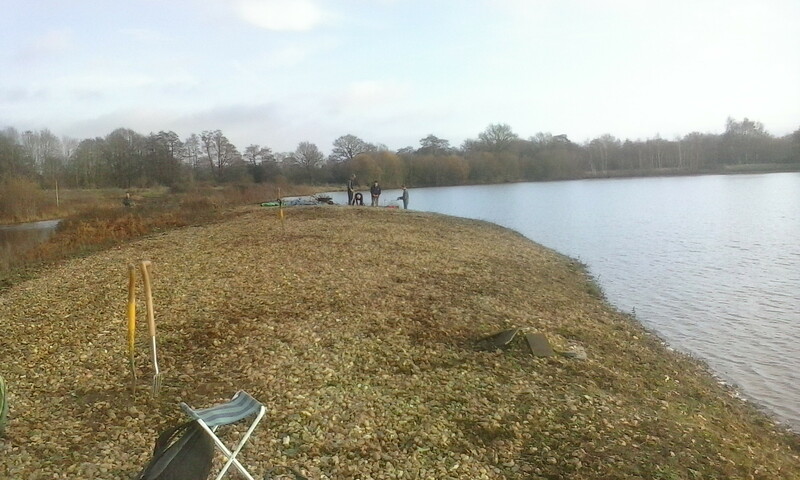 Many thanks to all the volunteers that turned up to help – its really made a huge difference. 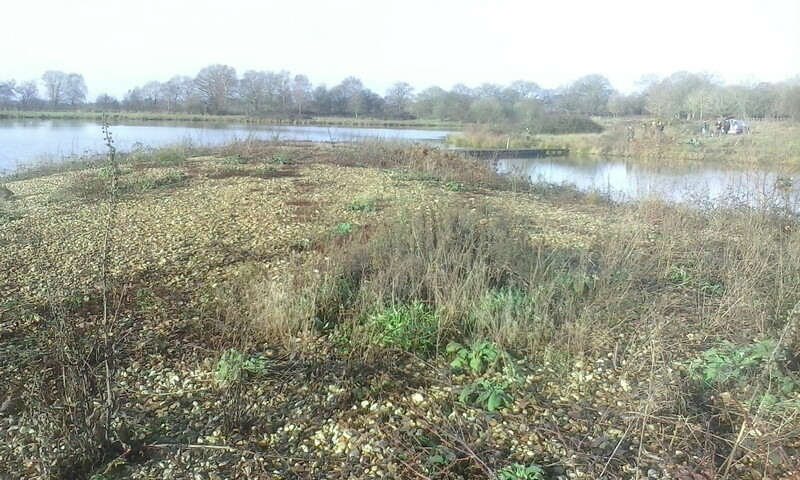 If you’d like to come along and lend a hand, the next Sunday task at Moor Green Lakes will be clearing Tern Island on the 8th January, meeting at 10:30am in the Lower Sandhurst Road Car Park. This entry was posted in Moor Green Lakes, Volunteers, Wildlife and tagged island, Moor Green Lakes, Volunteers. Bookmark the permalink.